Enjoy this fantastic and unique opportunity to abseil down the oldest building in Watford, St Mary's Church in the town centre on Saturday 18 November 2017. From the roof of the Grade I listed building, daredevils can enjoy fantastic views over the town. You will be safely harnessed in by a professional abseil team, Rock and Ice - before stepping over the edge to begin your challenge. There will also be a Snowflake Christmas Market at the same time where hot drinks and snacks may be purchased. Every penny raised at this event will go directly to event organisers Home-Start Watford to give vulnerable families and children in our local area the best possible start in life! REGISTER YOUR PLACE HERE TODAY! 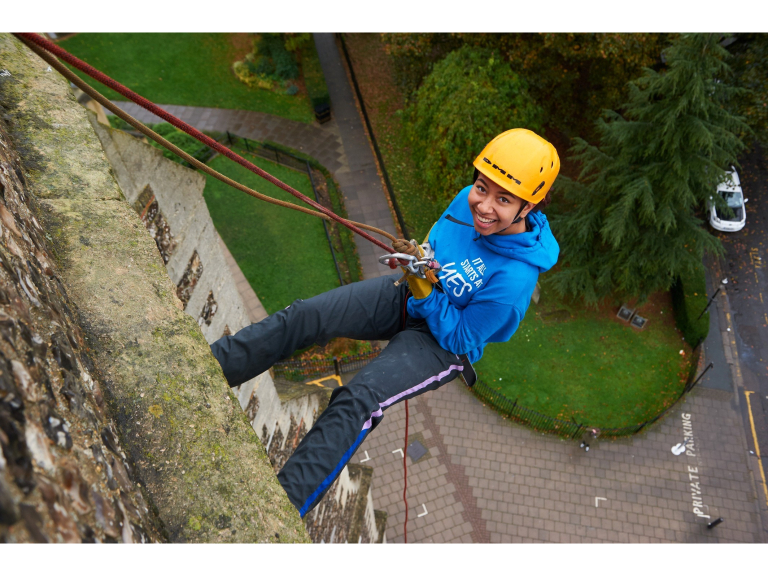 * Choose this option if you wish to abseil for the experience or to raise money for another good cause. Participants must be over the age of 16 years old. If under 18 years old, a parent or guardian must provide written consent. Spectators: There is lots of viewing space for fundraisers' friends and family, who will be able to take photographs of the event. Our charity has been based in Watford since 1993 and provided support to over 2,500 families in this time. The support is provided by volunteers who are all from the local community and are parents themselves. Volunteers attend an eight week training course to develop their skills in providing personalised support to families in crisis. Home-Start volunteers are invaluable at a time when a family need it most. Volunteers support families in their own homes in many different ways from listening and empathising to supporting the cooking of healthy meals. Volunteers empower families to venture out into the local community, enabling their children to access fun activities.